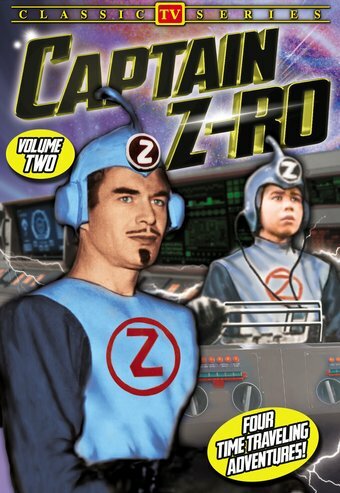 Captain Z-Ro, time traveling superhero from the far future, protects history from those who would change it in four exciting episodes of this classic sci-fi show from the early days of television. DISCOVERY OF GOLD: Captain Z-Ro must stop a killer from taking credit for the discovery of gold in California. METEOR: A flaming meteorite hits the hull of the ZX-99, putting Captain Z-Ro and Jet in danger. AZTEC PAPERS: Captain Z-Ro and Jet must act quickly to save a helpless slave girl from being sacrificed to the Aztec god of fire. WASHINGTON AND HOWE: The British will win the Revolutionary War unless Captain Z-Ro can get an important message to General Washington in time.